Max Muscato (center), at a Rock Autism benefit. Buffalo has always been an ardently flourishing music town, filled with people who want to help the scene and benefit worthy causes. Recently, those passions have escalated, as two individuals came together to start a new music and philanthropic movement in the Buffalo area. That’s where musician Max Muscato and event planner Alea Conte come in. 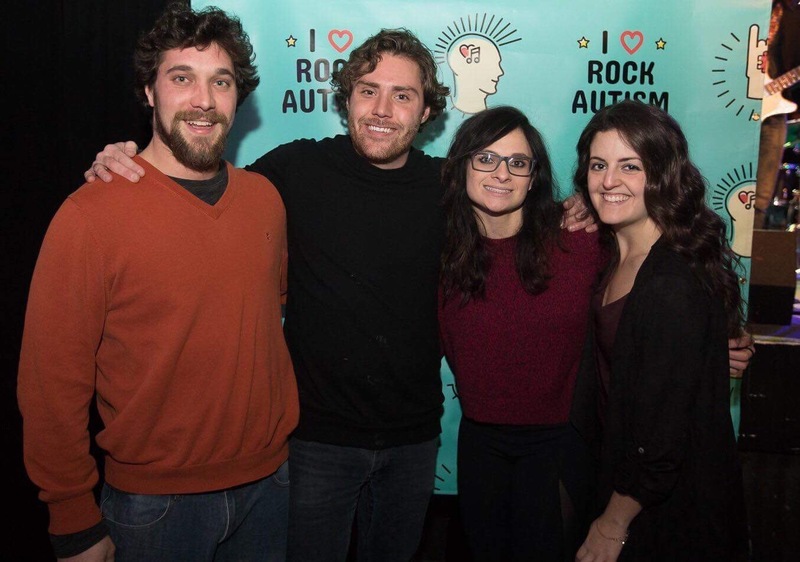 The friends, who met each other three years ago by chance at one of Max’s concerts at Mr. Goodbar, started a nonprofit called Rock Autism this past October. Rock Autism combines the element of live entertainment, with goal of raising autism awareness, while also raising necessary funds for arts programs for young adults with autism. The idea of the nonprofit started with a dream that Max’s father, Marc had, which was based off of the experiences his son, Sonny, underwent as a young adult with autism. Sonny had been diagnosed with autism at a young age, and with that, he had faced years of struggles, struggles that became an important catalyst into the founding of Rock Autism. Sonny had moved around to many schools, and his teachers were not prepared to teach students with autism. Sonny would exhibit aggressive behavior, but music class changed Sonny’s demeanor in school. Every time Sonny went to music class, he was able to zone in and enjoy it, and exuded only positive energy. After music class, though, Sonny would regress into negative behavior, and his father made the decision to put him in an institution. In the 1990s, institutions hosted other children with a broad range of developmental disabilities and weren’t highly focused on children with autism. Sonny wasn’t getting the help he needed. Marc noticed that when Sonny would come home, he would act differently, and Sonny would come home with bruises. Marc hired a private investigator to go Sonny’s school and watch him, and through those measures, he uncovered that Sonny’s caretakers were physically and mentally abusing him. The same thing happened at another institution at which Sonny stayed. Marc had enough of the poor treatment for his son, as the institutions that he relied upon and trusted to help his son turned out to be part of a broken and detrimental system. Marc became an advocate for youth with autism, and would represent the case at State Capitol in Albany. At age 18, Sonny gained his freedom as an adult, but with that, he was led down a more frightening path. Sonny would take walks in South Buffalo and through some friendships he made, he became a drug mule, and self-medicated with drugs. With that came a cycle of Sonny going from jail to rehab, and back to jail. Music and creativity were the impetus for Sonny to overcome that cycle. In present day, Sonny is attending college at Alfred State and is learning creative tasks such as movie-making and editing. He is building a repertoire of life skills that he wasn’t able to before. Max and Alea, along with Marc, recognized that those creative skills are vitally important, and those skills would be how people with autism would gain marketable skills for a college resume, or a future job in music, art, graphic design, photography, and film. Max and Marc know that autism doesn’t have enough awareness surrounding it, even though one in every 59 people is now identified with an autism spectrum disorder. The spectrum is broad, and the face of autism isn’t one specific diagnosis. The community needed to be aware of that, and they wanted to put a new spin on the autism image. 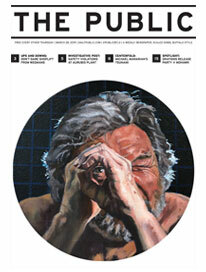 The nonprofit officially launched in October, and the deep-rooted efforts kicked off immediately. A busy and successful soft launch during a Thanksgiving Eve concert played by Max at Mr. Goodbar sealed the fate of the nonprofit, and the movement started that night. They played another concert at Buffalo Iron Works in January, and 150 people showed up to support, even in the -20 degree weather. Helium Comedy Club, as well as James Kurdziel, program director for 103.3 The Edge and his team, have been supportive since the very beginning. Through their partnership, Max and his band have performed at Deep South Taco for The Edge’s Cinco De Mayo party, as well as fundraise at Edge Comedy Night. Max has been friends with Kurdziel for three years, and after hearing the story of Rock Autism’s inception, he immediately asked to emcee fundraisers, and linked Rock Autism to Helium Comedy Club. Because of the support from Helium and local comedians, Rock Autism has been able to fundraise and spread awareness at Edge Comedy Night, the monthly comedy showcase that is produced by The Edge. New York Beer Project also joined in the fundraising efforts, and in February, a music and comedy fundraiser was held there, featuring local comics Brandon Trusso, Clayton Williams, as well as Kurdziel, and hosted by Nicky Spin. The audience immediately recognized and appreciated the nonprofit, and was supportive in donating and willing to learn more. In addition, Thin Man Brewery brewed a new beer, Sonnyboi IPA, named after Sonny, and the beer was launched right at the start of Autism Awareness Month in April. A portion of the proceeds sold from each pour at Thin Man, Cole’s, Liberty Hound, Colter Bay, and World of Beer goes directly to Rock Autism. The money raised from all of these well-supported efforts goes to many different causes. From the start, Rock Autism partnered with People Inc., and donates money to their fine arts programs, and Rock Autism wants to feature a few artists that benefit from People Inc. at an upcoming Rock Autism fundraiser. Rock Autism also benefits Autism Services, and they are currently working with Oshei Children’s Hospital to fund programs for children with Asperger’s, so that they can learn social skills through arts programs such as Garage Band and animation clinics. This is just the start for Rock Autism, say Max and Alea, who hope to be able to bring these efforts to the national and even international level in the near future, with interest shown in New York City, and even Australia. The duo is looking forward to being able to start more Rock Autism chapters, with Buffalo being the flagship chapter. Rock Autism has an upcoming fundraiser this Saturday, May 19 at Town Ballroom, produced by Sensu Music featuring headliner, Ripe. Also performing that night will be Max Muscato & Special Guests, First Ward, and Deadwolf. Sonnyboi IPA will also be poured that night with $1 of each pour benefiting Rock Autism. Admission is $20, and doors open at 7pm. Rock Autism is also currently working on putting on its biggest fundraiser, which will be a music festival – Rock Autism Music Festival – in Ellicottville, on September 1.